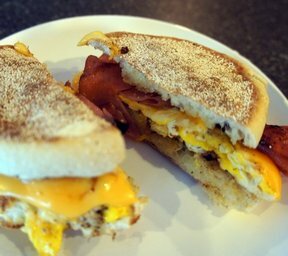 Healthy breakfast sandwich to start your day off on the right track. Full of flavor minus all the fat and calories from the fast-food restaurant. Quick and easy. Spray small bowl with butter spray. Add egg beater, season and microwave for 1 minute. 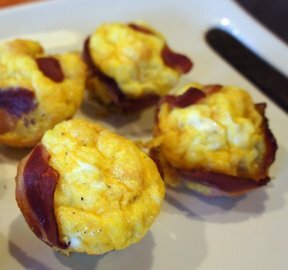 Place ham and cheese on top and microwave for 10 seconds more while toasting muffin. 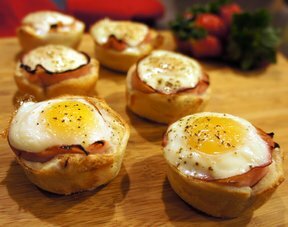 Place egg, ham and cheese on english muffin. "My kids don't even know that these are good for you. 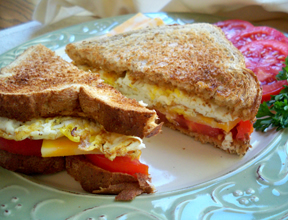 I use Thomas 100 calorie English muffins, our favorite."